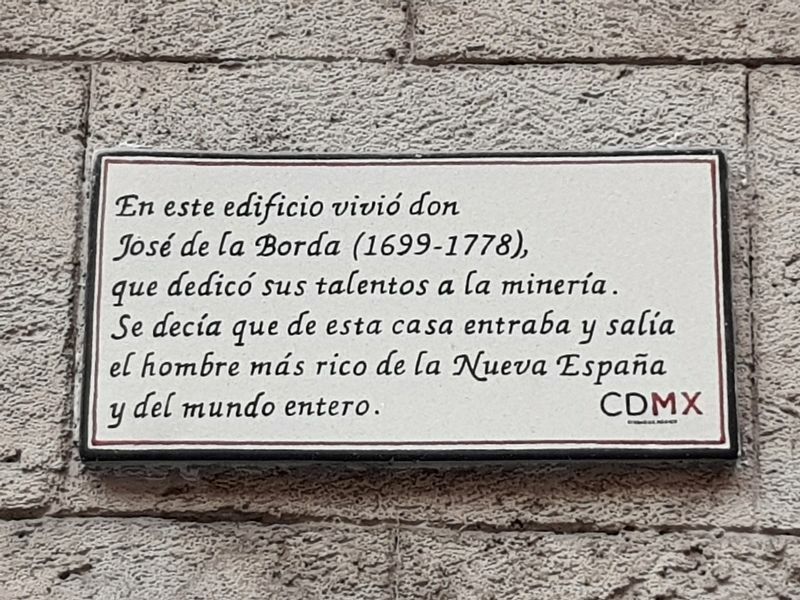 En este edificio vivió don José de la Borda (1699-1778), que dedicó sus talentos a la minería. Se decía que de esta casa entraba y salía el hombre más rico de la Nueva España y del mundo entero. In this building lived José de la Borda (1699-1778), who dedicated his talents to the mining industry. It was said that from this house came and went the richest man in New Spain and the entire world. Erected by Ciudad de México. Location. 19° 25.999′ N, 99° 8.3′ W. Marker is in Ciudad de Mexico, Ciudad de México. 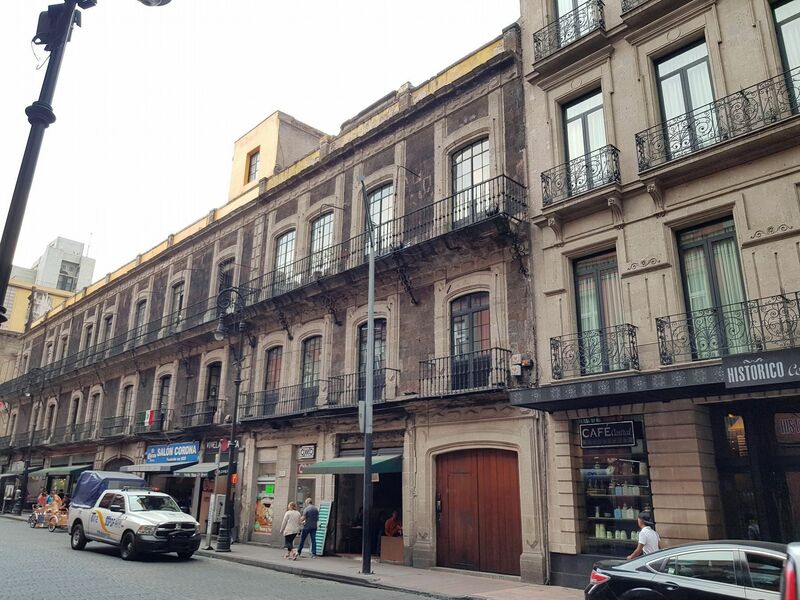 Marker is on Calle Bolívar just south of Avenida Francisco I. Madero, on the left when traveling south. Touch for map. Marker is at or near this postal address: Calle Bolívar 26, Ciudad de Mexico, Ciudad de México 06000, Mexico. Touch for directions. The marker can be seen roughly in the middle of this view at street level, to the left of an "Oxxo" sign. reported missing. ); José de la Borda (within shouting distance of this marker); House of José de Borda (within shouting distance of this marker); Sebastián Lerdo de Tejada (about 90 meters away, measured in a direct line); The House of the Count of San Mateo Valparaiso (about 90 meters away); The Residence of Agustín Iturbide (about 90 meters away); Mariano Galván (was about 90 meters away but has been reported missing. ). Touch for a list and map of all markers in Ciudad de Mexico. More. Search the internet for House of José de la Borda. Credits. This page was last revised on October 24, 2018. This page originally submitted on October 24, 2018, by J. Makali Bruton of Querétaro, Mexico. This page has been viewed 43 times since then and 9 times this year. Photos: 1, 2. submitted on October 24, 2018, by J. Makali Bruton of Querétaro, Mexico.